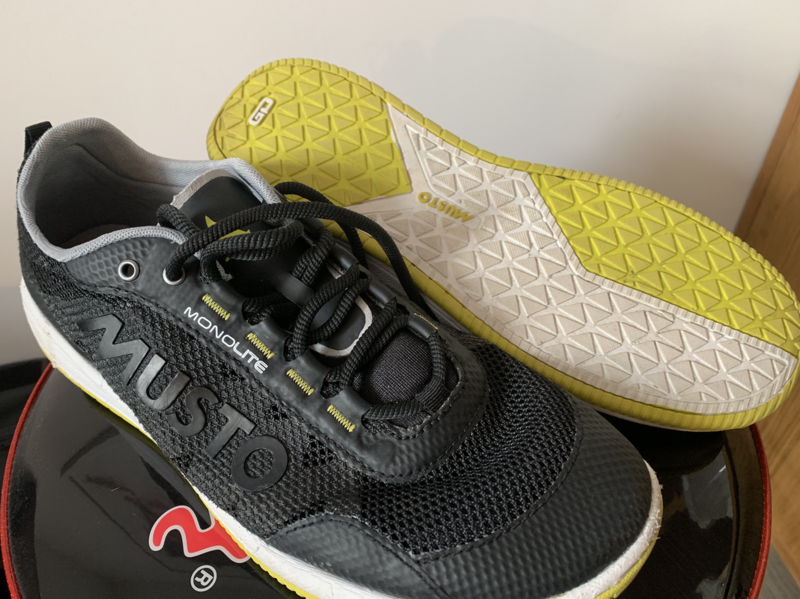 Musto prelate shoes. UK Size 10. 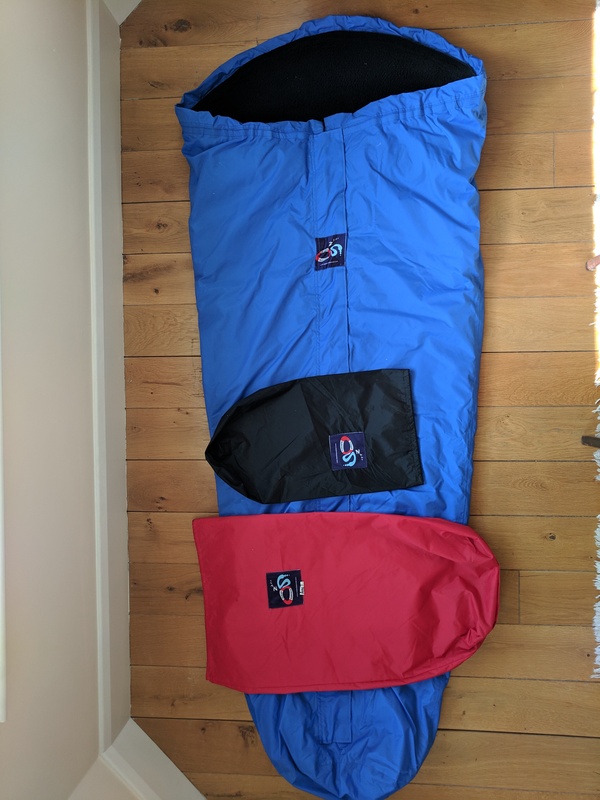 Ocean Sleepwear Sleeping bag for sale - blue. 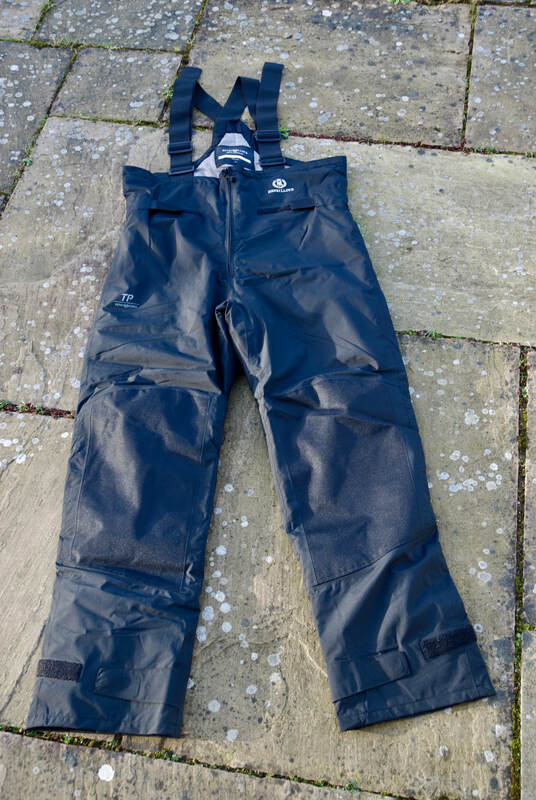 Used in the Clipper 2015/16 for a couple of legs and not since so in excellent condition. Has been fully cleaned. 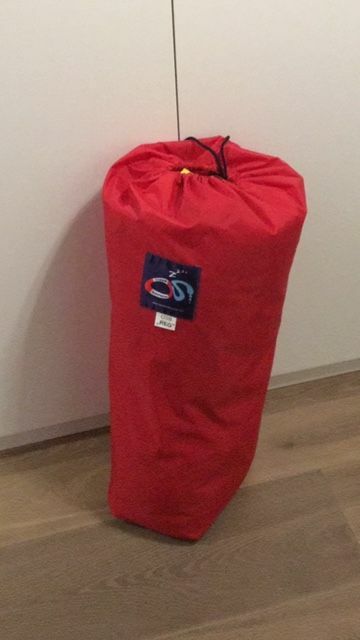 It has the two storage bags as well as the cover for your pillow. 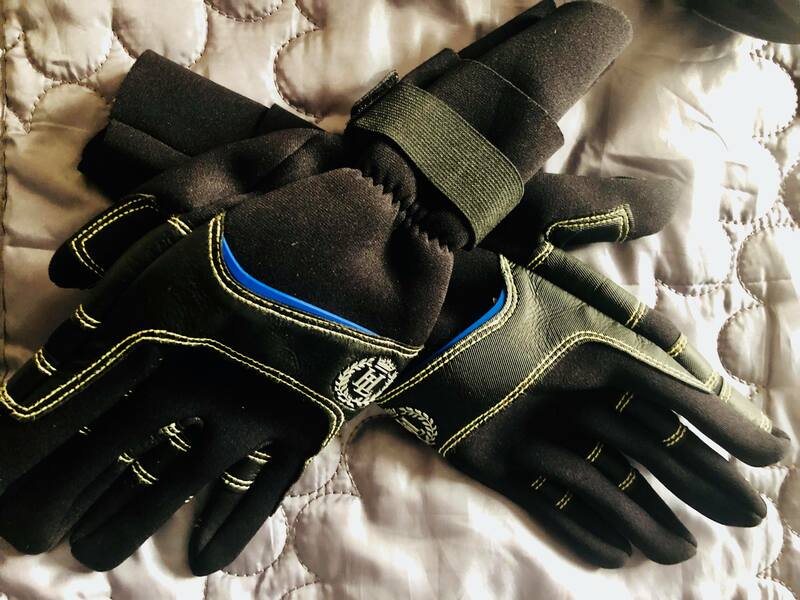 Henri Lloyd gloves - neoprene and useful for rope work in wet weather. Spinlock kneepads - great knee protection for deck work, in good condition and a useful piece of kit. ALL SIZE MEDIUM. Sealskin Socks - lightly used and great at keeping your feet dry, knee length to prevent rubbing from boots, nicely coloured for easy identification. 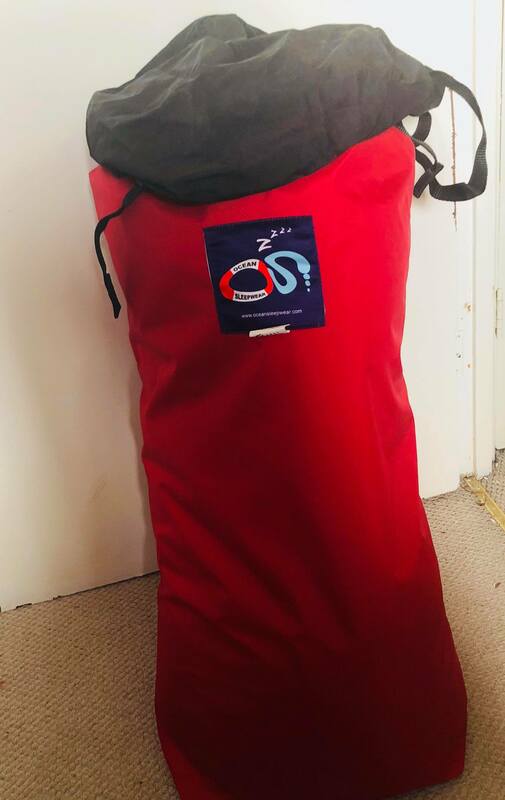 Grey ocean sleep wear sleeping bag, used during the 17-18 clipper race. Great condition and very warm, definitely brilliant for the colder legs. Waterproof. 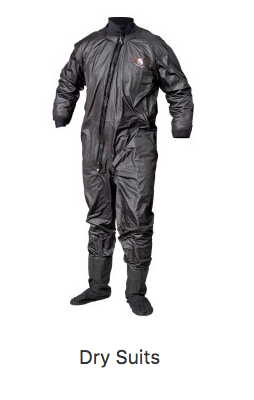 Brilliant Henri Lloyd Dry suit with latex seals. All seals are in great condition and zip has been waxed. 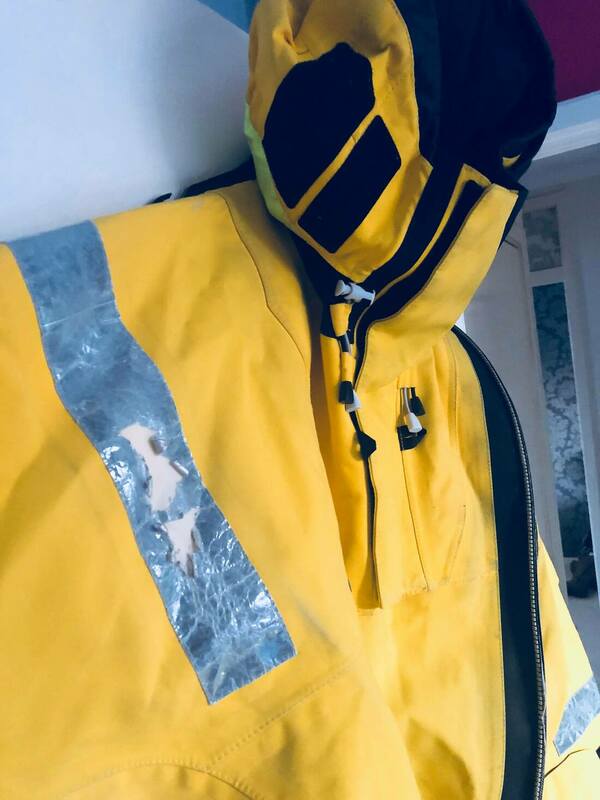 Slight damage on reflective strip from being worn under life jacket (can be seen in attached image) but does not effect the functionality of the suit. If you're doing clipper, you'll need sailing socks and you'll spend a small fortune on them. This set, if you are male and fit "Large" size, will get you on your way without the heavy outlay. 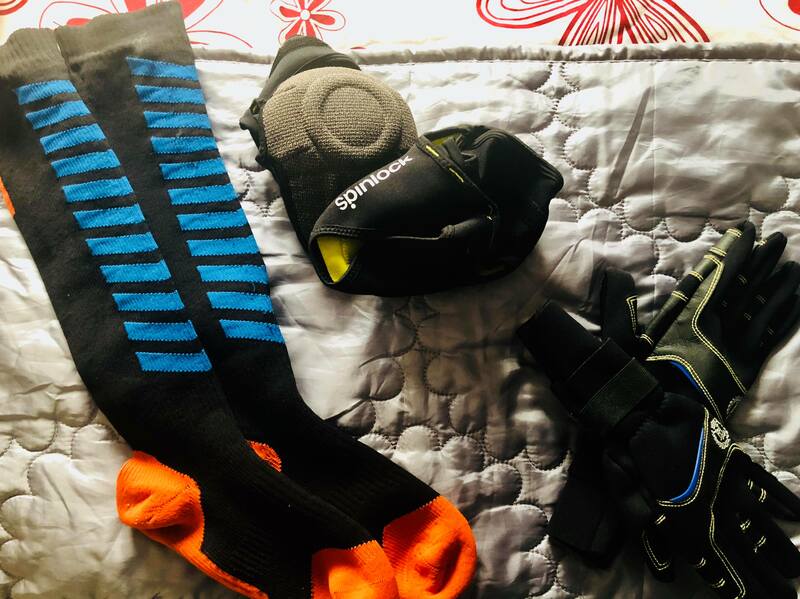 Believe it or not, these 7 pairs of socks are the only socks I took on the 29 day crossing of the North Pacific on leg 6 of the 17/18 race, and they worked out well (though I may have been a bit smelly!). 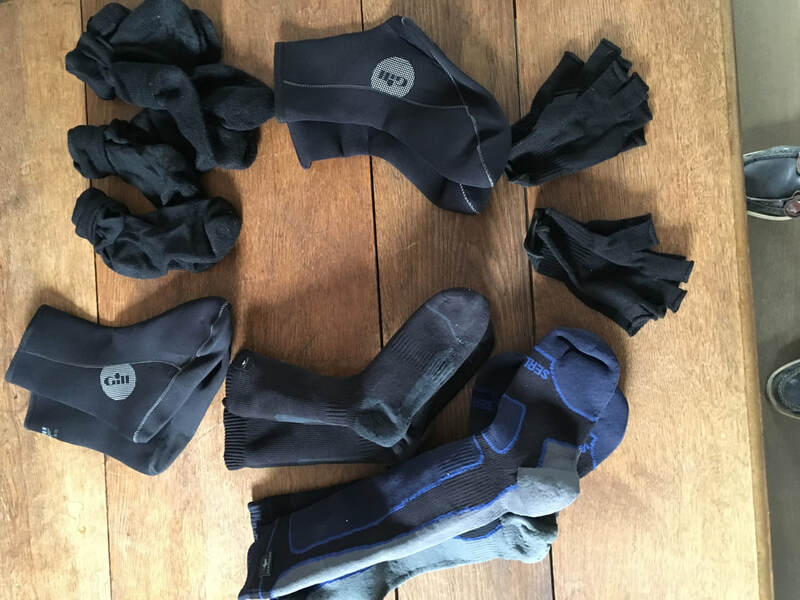 2 pairs of Seal Skinz sailing socks, one long (over calf) and one medium (mid-calf), 2 pairs of Gill Neoprene socks (these were FAB - very warm) and 3 pairs of merino wool small socks which go underneath the others. ​And randomly a pair of merino wool fingerless gloves (pretty sure they're SealSkinz - go under other gloves). This lot will set you back c£140-150. The long socks did all my training levels and the crossing but are still ok. The neoprene & the mid-length just Leg 6. The merino gloves are unused. The merino socks I can't remember!!! 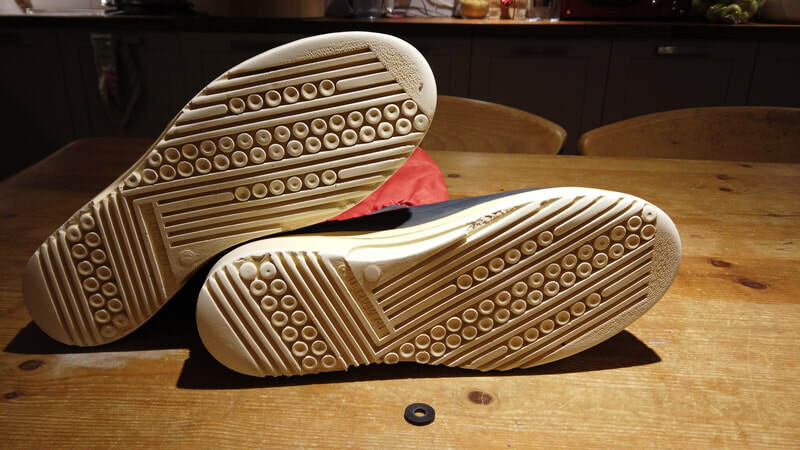 My shoe size is 9.5/10 in UK, and these fitted well. 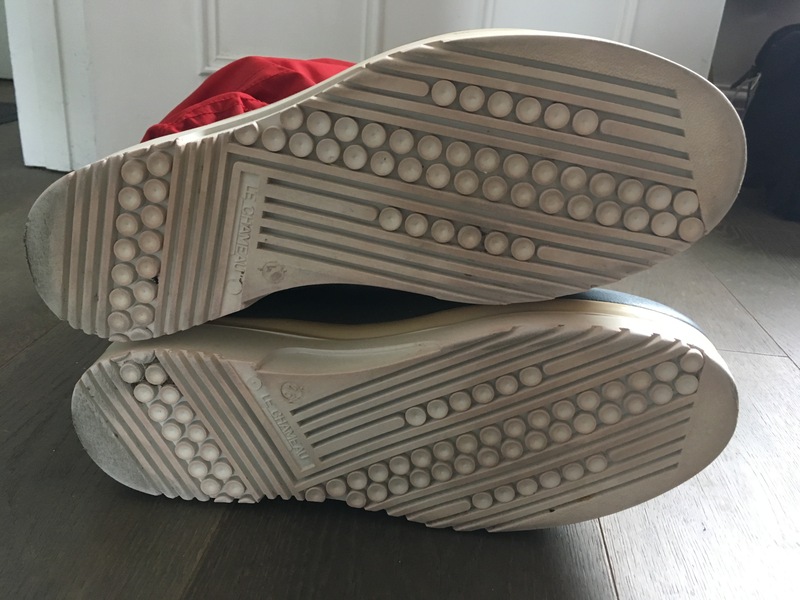 You need to be sure you fit these with a couple of pairs of socks on, so recommend visiting a shop and determining your size before you buy. 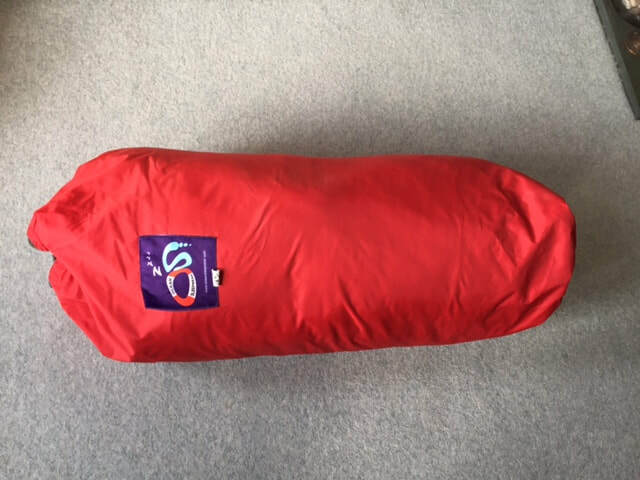 Pre-Used Ocean Sleepwear sleeping bag. Excellent condition. Used on last race. 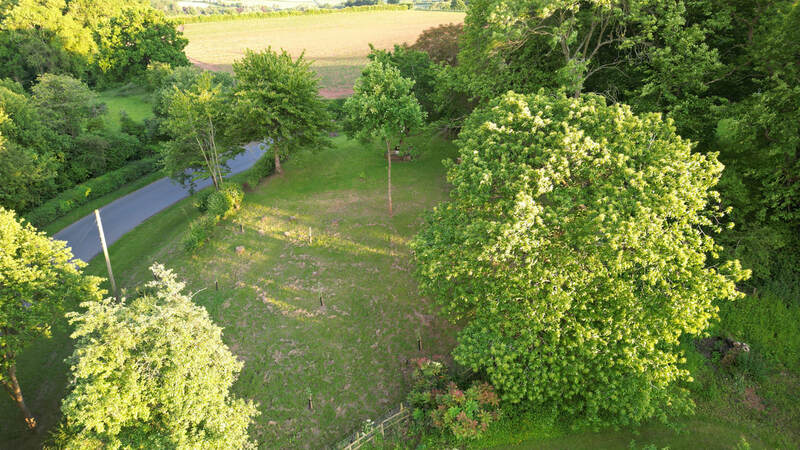 Fully laundered and now available for sale. UK Shipping for £20. The Ocean Sleepwear bag is fantastic and, I'd say, essential for the colder legs like Leg 3 and Leg 6. Essential kit for RTW Crew! 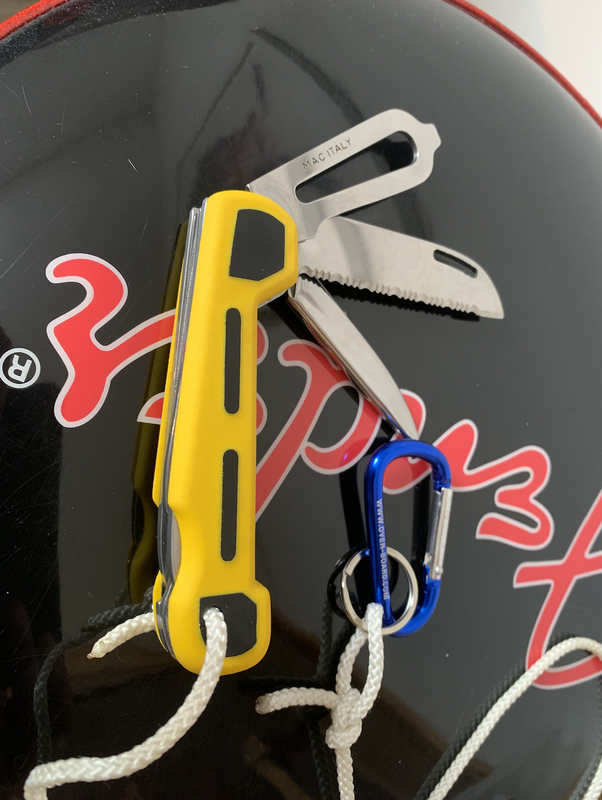 3 'deck' items purchased for the Clipper 17/18 race. 3. 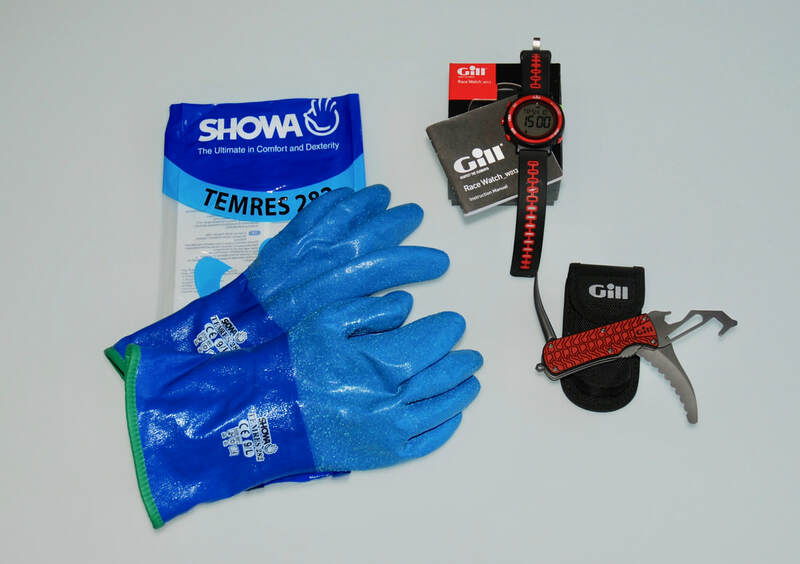 Showa 282 Temres Gloves - size 9/Large - The best gloves for keeping your hands warm when helming. Black HL Elite Mod Therm Salopettes - used on Leg 2 of the Clipper 2017/2018 race. 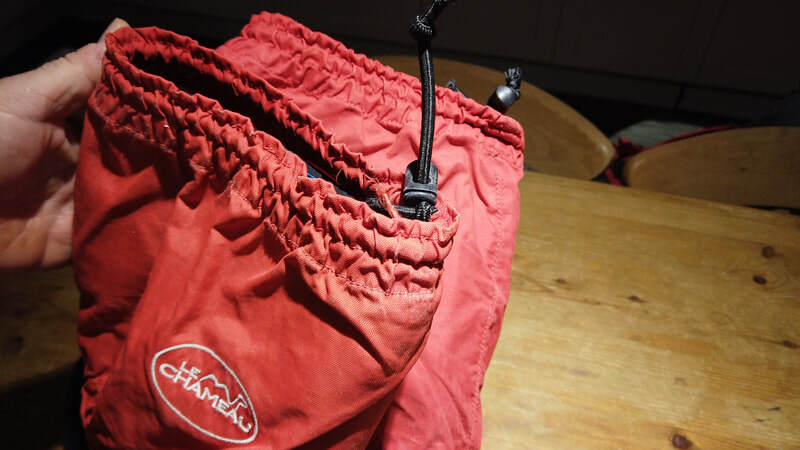 Incredibly light and warm as well as windproof and waterproof. Excellent condition. Cost new - £130. Now £60. 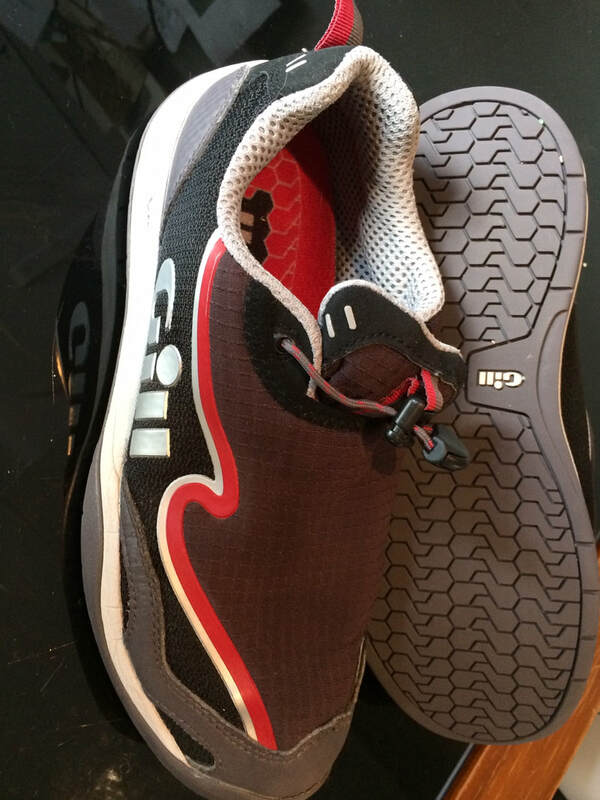 Used for leg 6 of 15/16 race. Warm and light. Kept me warm and my base layers dry in the coldest and wettest of weathers. Very good condition. Has my name in but otherwise as new. Manufactured from Primoloft® for a very warm lightweight garment. 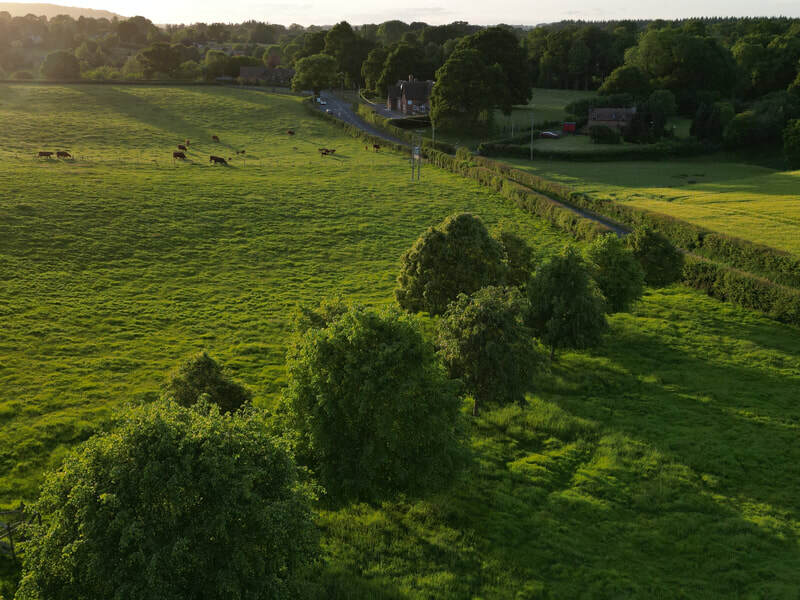 20% increase in breathablity compared to its closest competitors. Can be worn alone or as part of the three layer system teamed up with the Hi-therm base layer and a fully waterproof shell. Ergonomically shaped to the body allowing ease of movement and increased comfort. Coated with DWR (Durable Water Repellent) make the water just run off of the outside. Taped seams for total protection against water penetration. Cordura reinforcements for protection on the high wear zones. Touch and close fastening to hem. Great condition. Very lightly used - just 7 nights on the transatlantic leg of the 2009/10 race. It's a versatile 3 layer bag with 2 waterproof carry sacs. 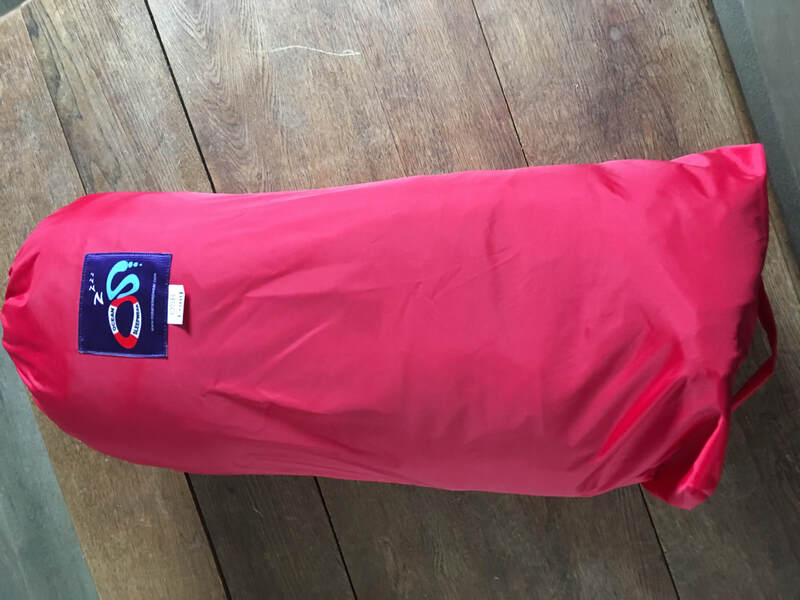 Designed for offshore sailing, this sleeping bag is waterproof and warm, and has removable layers. 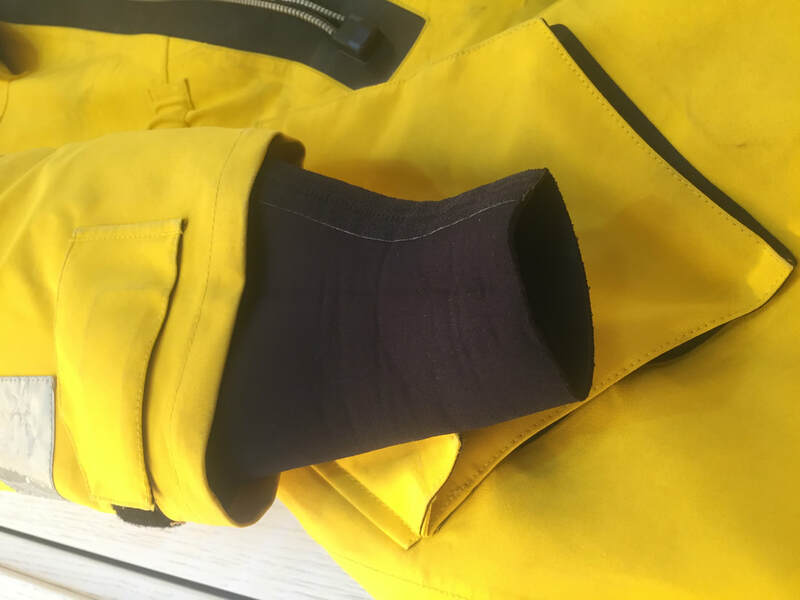 Protective Shell: Zipping directly onto the outer insulation to ensure no movement or cold spots, the durable outer shell is made from 4oz Exeat Fabric providing a tough and durable barrier to moisture. 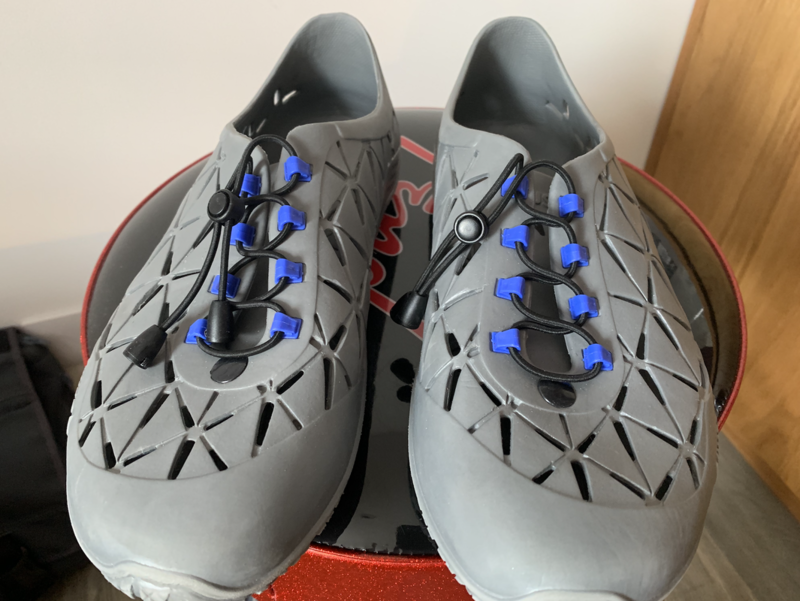 Treated with a breathable fluorocarbon coating and fully tape-sealed to prevent wicking through stitch holes and provided with a full length flap to prevent water ingress through the zip. YKK No10 coil zip used for unbeatable strength and reliability. Suitable for persons up to 6ft 3 inches. ​Removable Pillow Pocket in Sleeping Bag Comfortable poly-cotton pillowcase, can easily be removed, washed and dried, stopping the build up of salt from your wet hair. Dispatched anywhere at cost or collection from Edinburgh. High performing racing trainer engineered for wet conditions. ideal for Clipper race. Non-marking and very good grip. integrated lace protector reduces the chance of snagging. easy to pull on and secure fast. 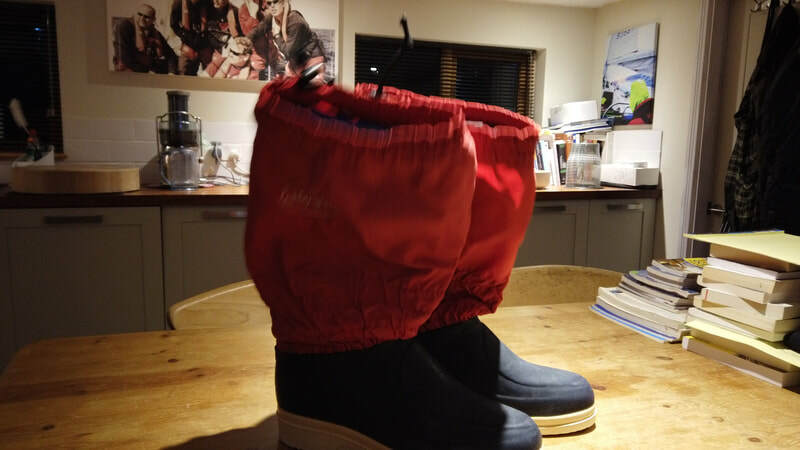 Used for some of the last leg of Clipper race 17-18 (when boots not required) Very good condition. Ocean Sleepwear sleeping bag. 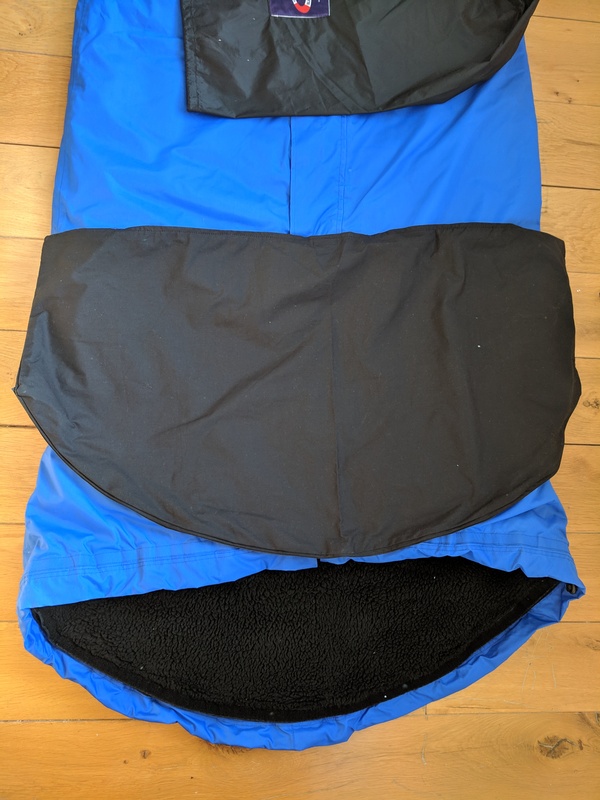 Gortex cover, 2 layers of fleece liners. Used for a total of 30days, freshly laundered. 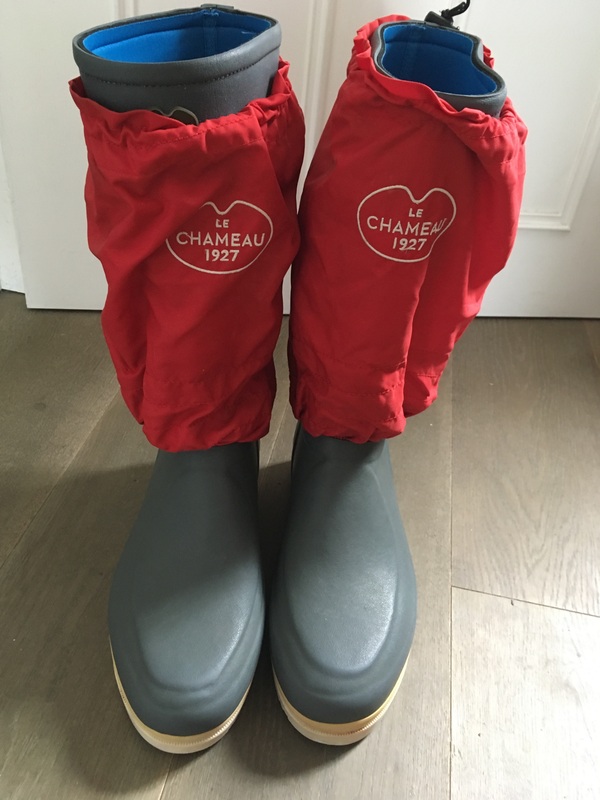 I consider the Le Chameau Neptune boot to be THE very best cold ocean sailing boot in the world. Le Chameau are the Rolex or Rolls Royce of the boot world and the handmade Neptune rubber sailing boot is just great. It's warm (neoprene lined), dry (with built-in gaiters) and robust and hardwearing. 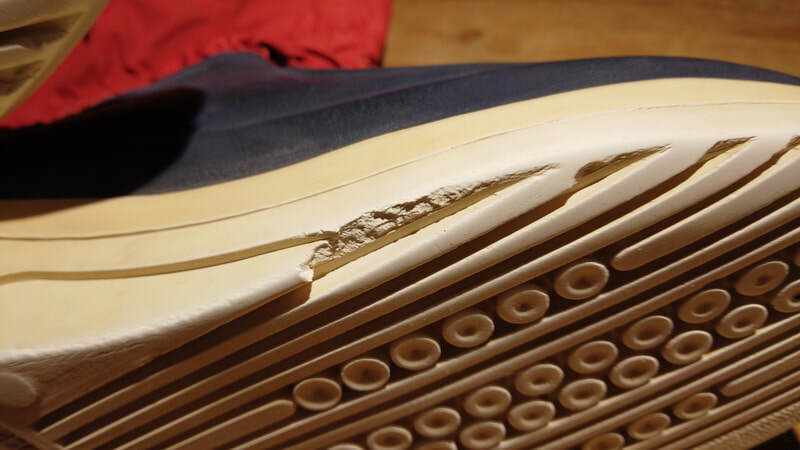 I'm replacing my boots with a new pair - so my trusty old boots, full of character and with about 60,000 sea miles under them, are now available for a new adventure. I'm sure they have another circumnavigation in them yet. Price New £315. Now just £99. 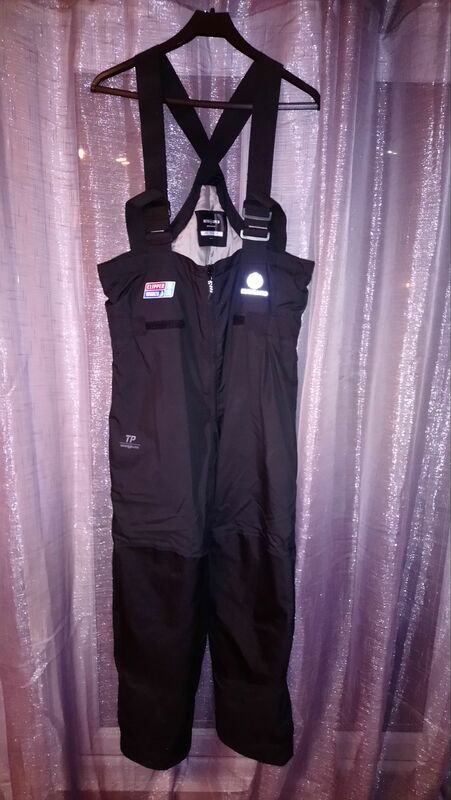 This dry suit was used once on the North Pacific leg of the clipper race and kept me warm and dry throughout bow work. 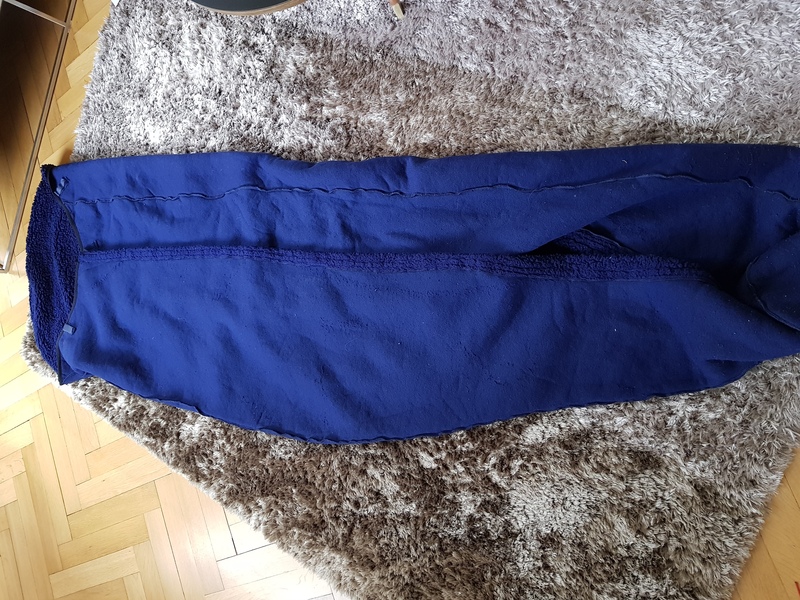 It is in good condition given its use and I guarantee its watertightness. 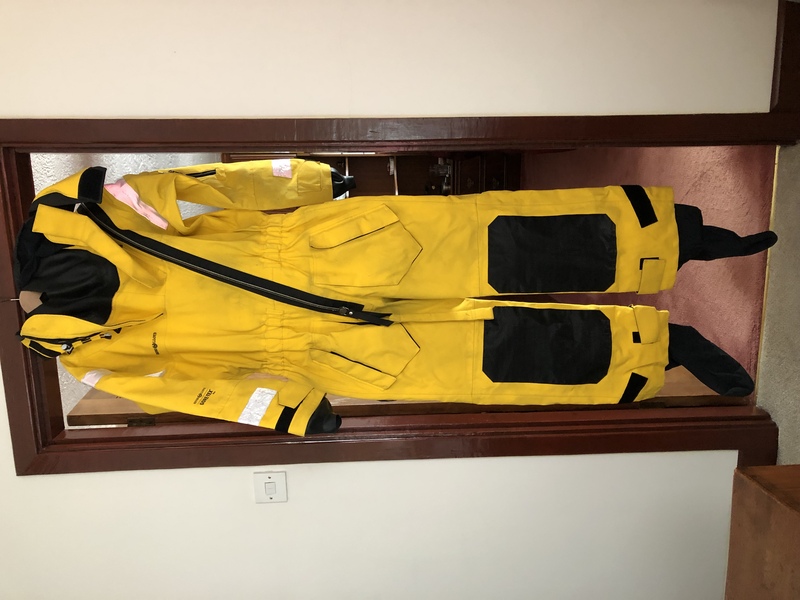 The dry suit has been recently professionally dry cleaned and proofed. 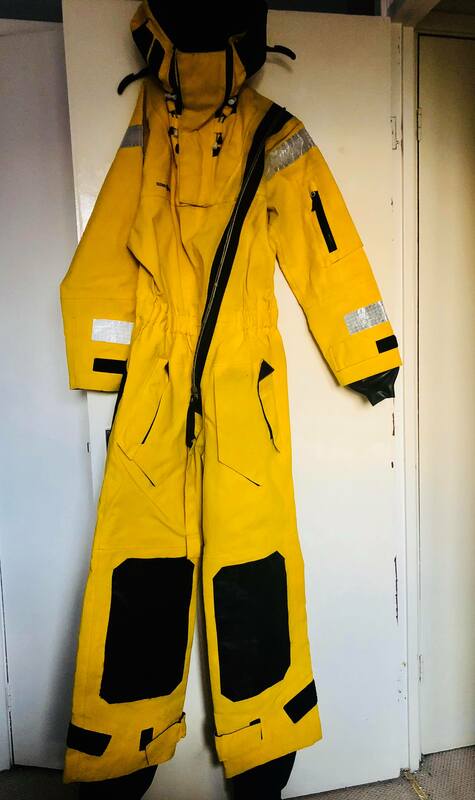 Henry Lloyd Ocean Pro Drysuit, size M, Less than half the original price at GBP500 (full price is GBP1,124). Medium size (as per Henri Lloyd fits chest size 95-100cm and height 170am - 175cm. I am a woman, 5ft9 and weigh around 70kgs and this fitted me perfectly. 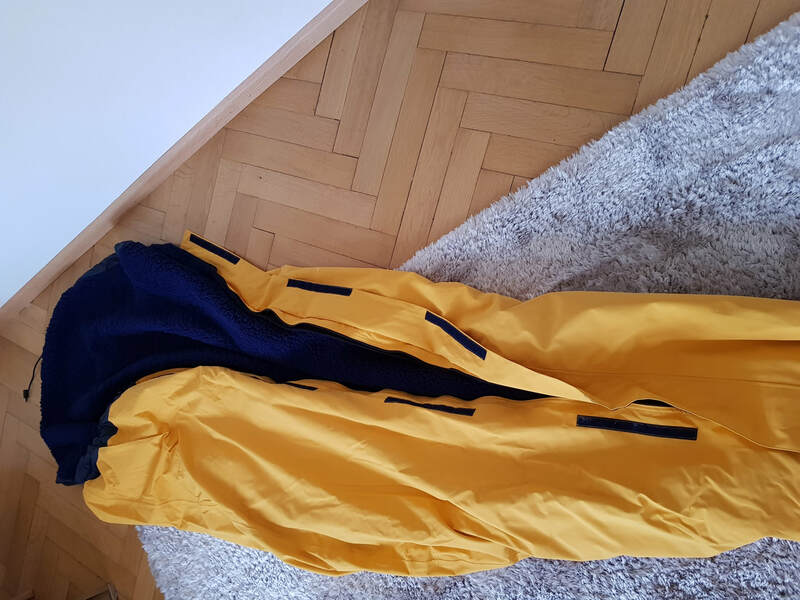 Ursuit lightweight Gore tex dry suit. Worn as a midlayer between your thermals and the Musto shell. The MPS weighs just 1,000 grammes and packs into a small bag. ​This item is brand new and has never been worn. 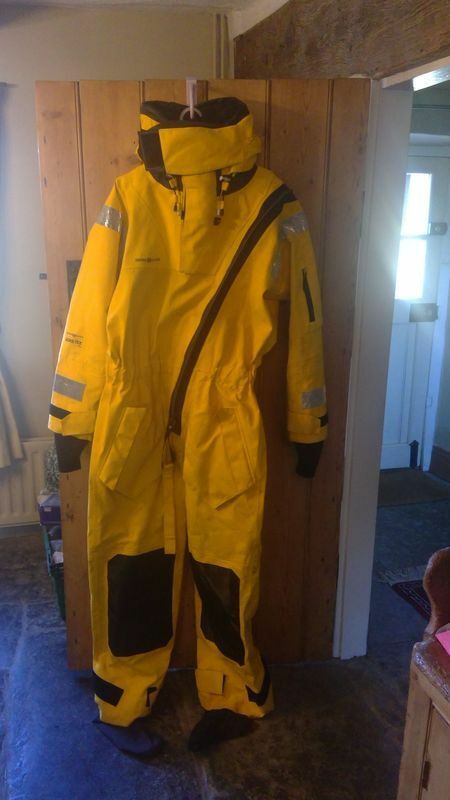 Purchased for Clipper race but I had to pull out due to illness. Never seen any action at all therefore in perfect condition with tags! Re sizing I'm 1.83 m and 95 kg and it fits fine. 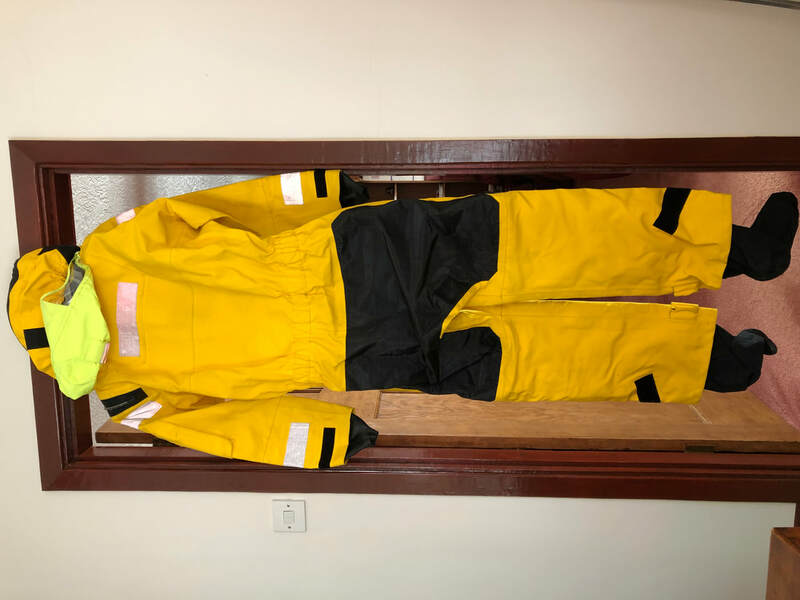 Typhoon Drysuit used on leg 3 of 17/18 race. Size is large broad which covers a range of chest sizes whilst not assuming your 6 ft 6. Im 5ft 11 and 42 chest and it fitted me perfectly. 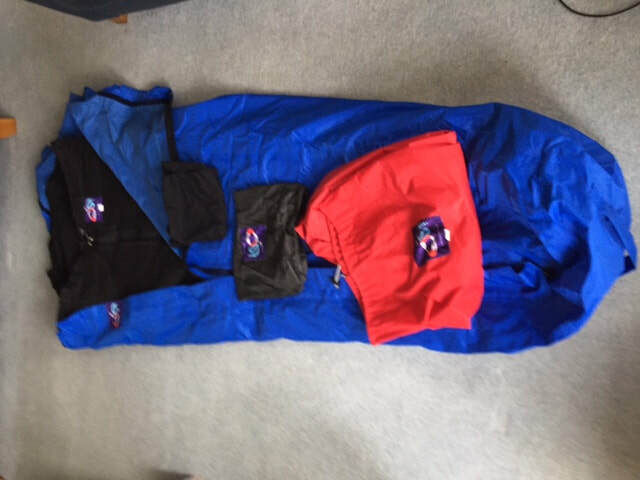 All zips and fastenings are in great condition . Has loads of pockets including a hand warming one. Uses waist zip method of closure which means you don't have to be a contortionist to put it on. Comes in hand carrying bag. New price is ₤695 so a bargain at ₤295. See Typhoon web site for full details . 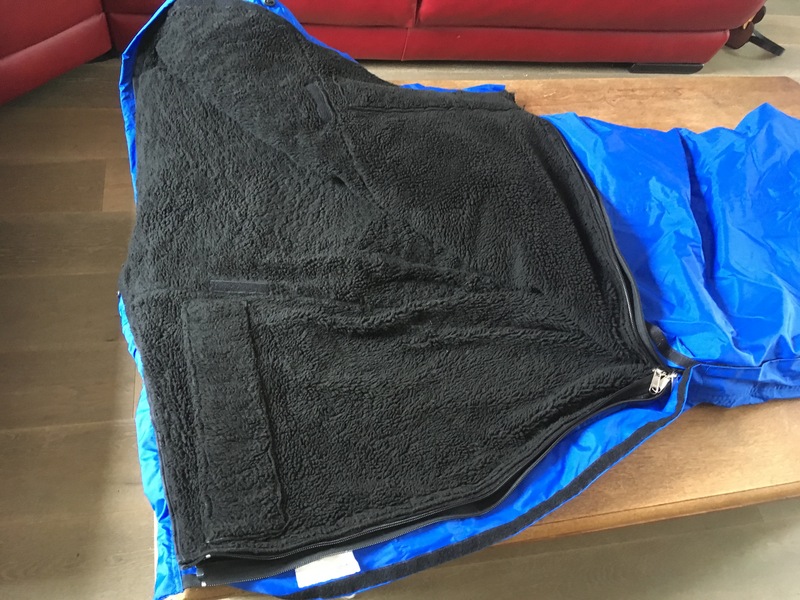 New 3-Layer Original Ocean Sleepwear sleeping bag provide a waterproof and warm sleeping system, suitable for all sailing conditions, anywhere in the world. 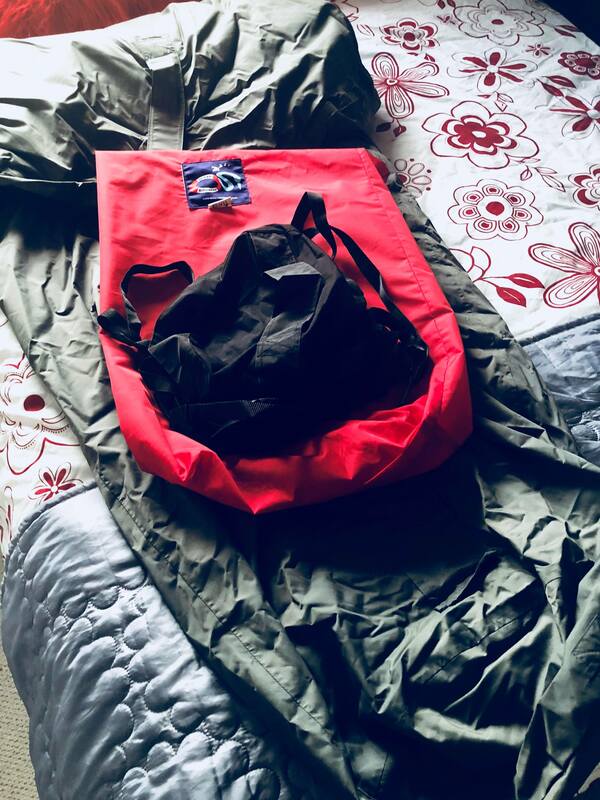 This is the full package with a regular size (up to 6'3") yellow 3 layer sleeping bag system plus compression bag storage system. I paid over £250 for it a few months ago, plus postage! New for Leg 2 of the 2017/18 race and worn for bow work and keeping warm and dry during the cold night watches. The neck and wrist seals have been professionally changed to neoprene as these are warmer and less prone to tearing. Reflective strips on shoulders, hood and cuffs are intact. All zips and seals are in good condition. The best Dry suit in the market: DRY, WARM, NEOPRENE COLLARS, high quality material. 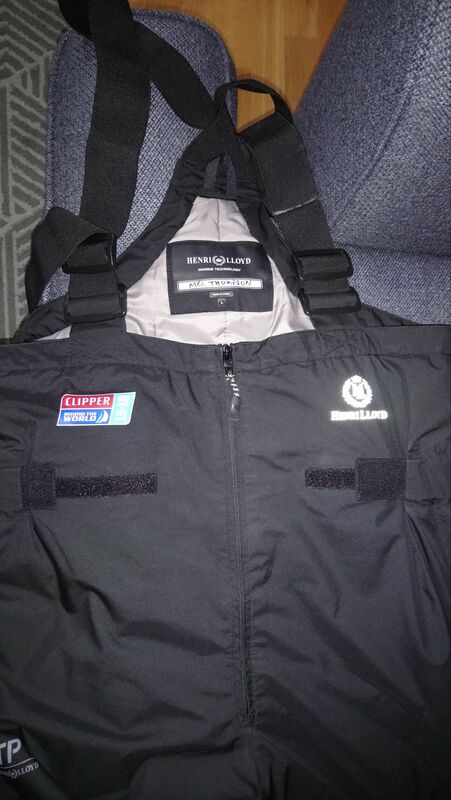 I used it for 12 days in the Pacific Leg in 2018 during storms and was the most useful piece of clothing I brought. Very good condition and HALF PRICE: keeps you DRY and SAVE you MONEY! Henry Lloyd Ocean Pro Drysuite, size L, HALF PRICE @562£ (full price is 1.124£, See here. Neoprene collar and wrists: FREE!! I requested it and was sewn directly by Henry Lloyd in factory. Recommended by skippers, it's the most effective way to prevent undesired water to pass through collar/wrists in heavy weathers. 3 times more resistant than standard rubber collars and easy to maintain in the years (any diving centre can fix it). 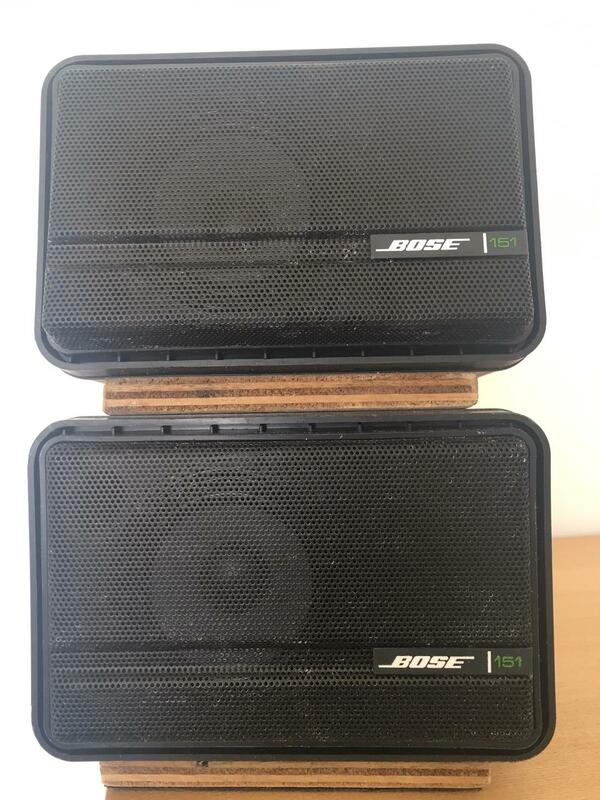 Amazing Bose all weather speakers which played on deck during the 13/14 race with no problems whatsoever.